A kayak accident during a South American adventure takes one woman to heaven—where she experienced God's peace, joy, and angels—and back to life again. 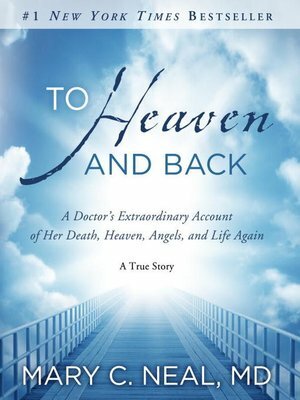 Mary's life has been forever changed by her newfound understanding of her purpose on earth, her awareness of God, her closer relationship with Jesus, and her personal spiritual journey suddenly enhanced by a first-hand experience in heaven. To Heaven and Back will reacquaint you with the hope, wonder, and promise of heaven, while enriching you own faith and walk with God. More about Mary C. Neal, M.D.